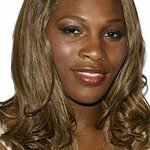 Allstate Foundation Purple Purse has announced Serena Williams, tennis champion, entrepreneur and philanthropist, will serve as the program’s new ambassador. In her role, Williams will raise awareness of the often invisible role financial abuse plays in keeping women trapped in abusive relationships and urge the public to help break the cycle of domestic violence. View “Lost Purse” film here.